Government watchdog group Judicial Watch has sued the Department of Justice again over their failure to provide records related to a Freedom of Information Act (FOIA) request regarding a private meeting between former FBI General Counsel James Baker and the Perkins Coie law firm, which may have involved collusion between Hillary Clinton, the DNC, the law firm and the FBI with regards to the phony anti-Trump dossier, which Fusion GPS was paid to create. The lawsuit cites a specific media report that FBI top lawyer Baker met with Perkins Coie lawyers to discuss allegations of collusion between Donald Trump and Russia. The meeting reportedly took place weeks before the 2016 election and before the FBI secured a controversial FISA spy warrant targeting then-candidate Trump’s campaign. On October 4, 2018, Fox News reported that Baker told congressional investigators that Perkins Coie lawyer Michael Sussmann “initiated contact with him and provided documents and computer storage devices on Russian hacking.” The contact was made in late 2016 as federal investigators prepared a Foreign Intelligence Surveillance Act (FISA) warrant to spy on Trump campaign aide Carter Page. At the time, Perkins Coie had hired opposition research firm Fusion GPS to dig into President Trump’s background. 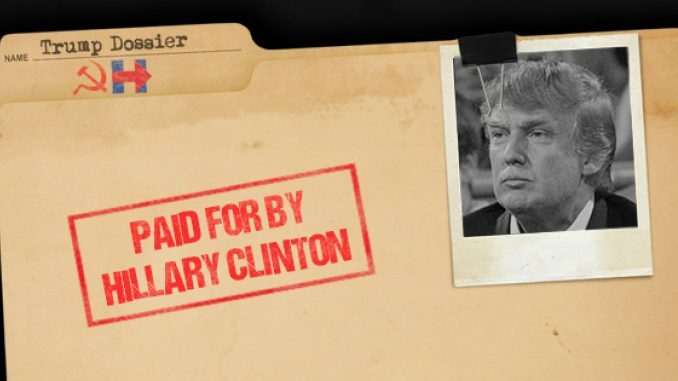 Fusion GPS paid British ex-spy Christopher Steele to compile the anti-Trump dossier, memos from which were shared with the FBI in the summer of 2016. The DNC and Clinton campaign’s funding of the unverified dossier was revealed in a memo from House Permanent Select Committee on Intelligence Chairman Devin Nunes which was disclosed publicly on February 2, 2018. According to an October 24, 2017, report, Perkins Coie lawyer Marc E. Elias retained Fusion GPS in April 2016 on behalf of the Clinton campaign and DNC: “The Clinton campaign and DNC, through the law firm, continued to fund Fusion GPS’s research through the end of October 2016, days before Election Day.” Fusion GPS gave Steele’s dossier and other research documents to Elias. Just last week, Judicial Watch sued the DOJ over the Obama DOJ’s efforts to shut down the investigation into Hillary Clinton’s Clinton Foundation. I simply ask, when are we going to get around to actually prosecuting the traitors who have been in our government and quit simply gaining documents that expose their crimes? My guess is that we won’t get to that point. I know some are optimistic about that, but I have yet to see why there should be any optimism that Obama, Clinton, Lynch, Holder or any of those in the Obama administration will ever be held accountable in this life for their crimes.